When I was a teacher, it would show up on our evaluations- latency. The art of waiting for an answer. It was an area that I found myself growing in a lot as a teacher, as I continually coached myself to count to ten while I waited for an answer. It was a difficult skill to foster, especially on shortened days. Wanting to push through the discussion and jump right into my favorite part of making. Sometimes (internally) impatient, or ready for the day to be done. But, as I continued to mature as a teacher, I sometimes found us blooming in the latent spaces. It was then that I would hear a shy kid speak up, or watch someone else make a connection. And I would realize the beauty that space had to offer... before I forgot all over again (wink). It's something I've been growing in as a parent as well! For example, Isia was a late walker. Yes, there was a step here, a step there, and a lot of cruising- but she was very content with crawling. I asked our pediatrician, worriedly, at her year appointment if I should be concerned. 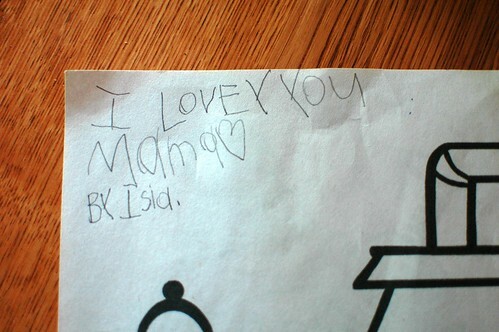 She wisely said, "Isia will do things at her own speed. Once she decides she wants to walk, she'll be off!" And at fourteen months that is exactly what happened. So you would think, five years later, that I would have become accustomed to her doing things at her own speed. But sometimes, like I shared above, I forget. I get distracted. Or, most lethal of all, expectations! Nothing suffocates latency as quickly as an expectation. Most recently, it was the expectation for her to keep up her reading progress. "I'm afraid if I can read by myself, that you'll stop reading with me." Ah-ha! So I promised that wouldn't happen and slowly returned to her reading again. At first I just asked her about a word here or there, or (being silly) pretended to have trouble sounding out a word that she knows. Gradually we returned to trading sentences, with me still being sensitive to forgoing all expectations. Then we began trading pages. Always keeping it light, reading lots of books to her in the interim, and backing off when she had enough. 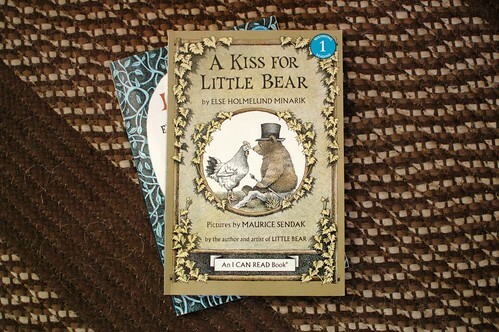 Finally, this morning, while I was changing the baby's diaper, she came in and read a whole Little Bear book to us. Then, being quite pleased with herself, proceeded to read it through a second time. We applauded, she beamed, and all was right in the world. And I'm reminded again to take time with these little souls. A timely lesson in parenting, and fitting as I begin to plan & ready my heart for our next year of homsechooling. It will be our fourth year together, as we journey through the land of first grade together. And work together- it's a community effort!- to journey with Billy through his second year of preschool. To keep our steps small, backtrack as needed, and hold hands often along the way. In the timeless words of Pooh, whose audiobook Billy is listening to while I write this, "It's so much more friendlier with two." I think he's right! Oh wow. This is amazing and beautiful. What a lovely lesson. I like what you mentioned about pausing... I need to do that more with my kiddos too. Your greater lesson about taking time with those little souls *sigh* lovely. Homeschooling is a community effort. We learn as a family... and that is beautiful.